Carnavál Parade 2014 | ¡VidaMaz! How in the world could we possibly top last year’s amazing Carnavál? The theme in 2013 was the movies. Everyone loves a good picture show, and last year’s parade most definitely made the most of that love! I figured there was no way anyone could top last year, so I was mentally prepared not to be sent over the moon by this year’s parade. NOT! Both 2014 Carnavál parades were incredible! The 34 floats, 23 dance troupes and 16 musical groups made for an absolutely fantastic nearly four hour event! I love that we have two parades. For us, living here on the north end of the malecón, the first parade is an evening into night affair, making for a tremendous street party. The floats in the parade are all aglow, and the dancers are in party mode, grabbing us from our seats and cena on the curb to join in the merriment with them. The second parade, on Tuesday, has the floats lining up in front of our house from just after noon, ready for picture taking in the full light of day. The dancers and royalty come out about an hour before the parade, and it’s the most incredible photo opportunity of the entire year—dancers putting makeup on each other or rehearsing dance steps, bands warming up their instruments and tunes, people stretching, eating, laughing. I absolutely love both these events. To me the very best thing about Carnavál Internacional de Mazatlán is that it’s a family affair. Nearly every family in town has a member who’s been Carnavál royalty, even if it’s a cousin or aunt, and nearly every Patasalada has danced in Carnavál at some point in his or her life. Royalty celebrate their silver and golden anniversaries, and what a joy it is to see them relive the original thrill, often accompanied by their children! Young children and grandparents dance in the parade, even though it’s such a long route. Several years ago I had a good friend from Mexico City who just hated Carnavál. She thought it was low class and tacky. What she hated most were what she called the beauty contests—that young people were taught to value superficial beauty rather than brains or talent. While I tend to agree with her about beauty contests in general, and I am very much saddened by the shadow cast over the voting for Queen of Carnavál the past few years and hopeful the process will become more transparent, the fact is that Carnavál is a festival of the people. It is much, much, MUCH more than a beauty pageant, involving literature, poetry and painting competitions, concerts galore, fireworks, a food festival, bullfight, several “manifestations” or pre-Carnavál energy-building events, the pomp and circumstance of the coronations, the parades and, of course, the huge street party in Olas Altas for six nights straight. Mazatlán has over a month’s worth of Carnavál-related events, and there’s enough variety to please everyone. Click on any photo below to enlarge it or view a slideshow. Kids rule at the parade. Most of the dancers and musicians are teenagers, children or young adults, joining their friends from dance class, gymnastics, or school. They’ve worked for months to raise money for costumes and props, and have rehearsed their hearts out. They are eager to burst with joy and energy during that first parade. Then, by the second parade on Tuesday, they transform into relaxed, experienced parade marchers, more confident of themselves and the crowd around them. Can I get on the horse? Smiling after all that dancing! The other star of the parades is the setting—the route goes along the malecón, south to north on Sunday, then north to south on Tuesday, with a clear view out to the ocean and the islands of our bay, the glittering lights of downtown, and the changing colored lights of Valentino’s on the northern end. So, what made 2014 stand out for me? The most notable difference for me was the crowds! Usually people set out their chairs the night before the big day, but this year was unreal. There were solid chairs from one end of the parade route to the other, and it was reported that over 800,000 people—twice the population of the city—turned out to watch the first parade! We had three families that did not join our party because they couldn’t get through the crowd to get to us! It was a-m-a-z-i-n-g! The mayor tested out a bleacher system which seemed very popular with those wanting a seat at the last minute, but that met with huge pushback from those opposed to selling seats along the malecón. While I’d love to see seats and space continue to be free of charge, something obviously has to give if the crowds keep growing like they are. I’m sure we had many more spectators this year who joined us from Durango, Zacatecas and beyond, thanks to the new highway. My personal favorite float this year was the Venetian float that Francisco Igartúa made for Marcela I, Queen of the Floral Games. It transported all of us to the Palazzo Ducale, complete with a couple of gondola rides, and beautifully honored the style that Maestro Rigo Lewis established for royal carriages of Carnavál these past 50 years. Queen Lorena’s float was also incredible, representing Rio. It was begun by Maestro Rigo himself, and finished up by his family after his death. Suzset, the Child Queen’s float was also made by Maestro Rigo and the Lewis family, representing New Orleans. Maestro Jorge González Neri had a huge hit with the King of Joy, Adolfo Blanco’s, exuberant and colorful Cuban float. You can definitely see the different styles of the floats’ creators! There were so many terrific floats, and also the LED-lit cars that we’ve grown to love these past few years. At least four continents were represented this year: the Americas, Europe, Africa and Asia. It was all definitely a feast for the senses! Here are a few final pics of some of the dancers in this year’s parade. I hope you enjoyed it all as much as we did! Today is Ash Wednesday; Lent begins. Time to rest, reflect and recenter, after the exuberance and sleep deprival of the past week! 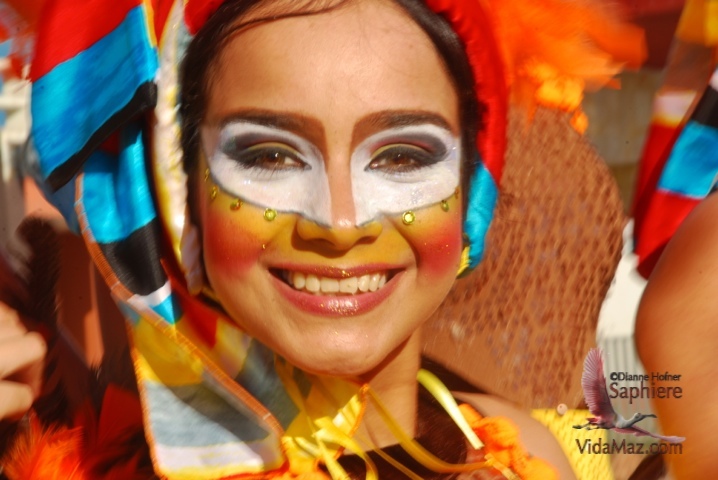 Please, share with us your favorite part of Carnavál, in the comments below. Oh Dianne—if it were up to me, you would be the shoe-in for next year’s Carnaval Queen! You have a magic way of involving us all through your words and fotos. Thanks for what you do. Ok, beautiful, you and me, Queens of Carnavál. Actually, it’s hard to imagine a worse dream than that, lol. Nola for Queen! Couldn’t agree more with Nola. Thanks Dianne!! Thank you both. So glad you enjoyed it. And thanks for sharing your thoughts! Most kind of you both! It was a gorgeous and fun parade as usual, Marlene. Thanks! 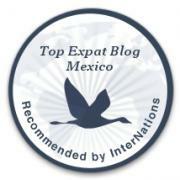 I agree with Nola & Denise – you are the Queen of Mazatlan! such beautiful pictures, lovingly presented, and I can not wait for next year!!!!!!!! thanks for sharing. You ladies are cracking me up. So glad you like the pics and the writeup, tho! Besos! I tried emailing you, but it kept coming back undeliverable, so hopefully you see this comment. I was referred to you by Mazatlan Today because I am looking for photos for the Carnival for my company’s travel blog and was wondering if you had some to share. I’d be willing to attribute credit and link back to your site, but any help would be appreciated. I’m happy to help, Corey. Let me know a bit about your blog including url, which photos you want, and we’ll be happy to get them to you. Thank you for getting out the word about our gorgeous city and it’s wonderful Carnavál! My email is dianne@vidamaz.com. PS, Corey, you are most welcome to take any of the photos from here directly, as well, as long as you link-through to the original post or our main url (vidamaz.com). We look forward to reading your article! PS3, obviously need more coffee! Not sure why the email is getting returned. Do you get a spam notice? If so click on it so it goes through. You’re using the below email?